So I have had my 10-18mm f/4 Canon lens for a little less than a month now, and I have been taking it out periodically to see what kind of shots I can get. 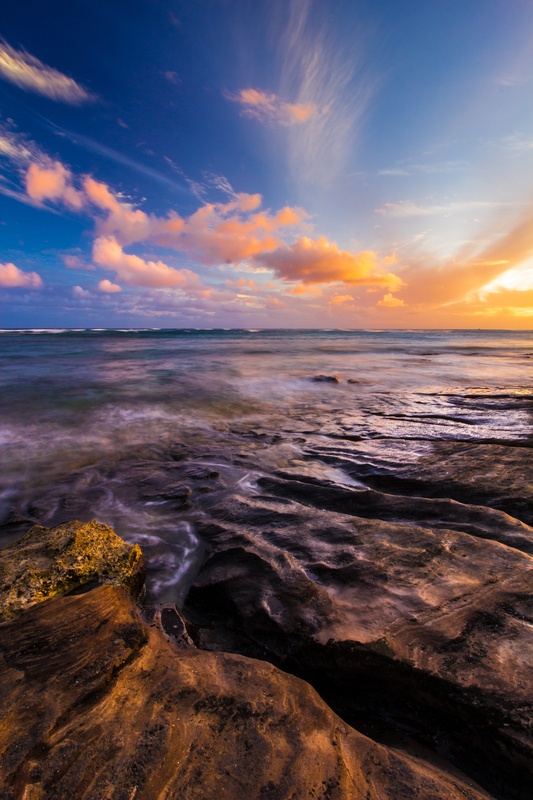 I have had a few that I thought were nice, but an impromptu trip to Diamond Head at sunset got me this photograph. I am pretty happy with the colors. If you are interested in knowing how to do something similar, I shot at 10mm for .6 with a 77mm Hoya circular polarizer to slightly darken the sky. Then I punched up the colors a little bit in Lightroom because I LOOOOOOVE my colors. Nothing else has been changed from the original.